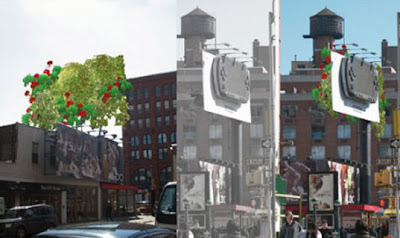 If you are like me, you have a wee bit of antipathy to the urban blight we know as the billboard. 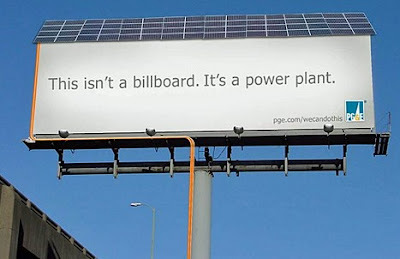 While many of use would like to see some Edward Abbey-style billboard eradication, or at least some creative Billboard Liberation, an interim step just may be vegetation. While bordering on greenwashing, or one of my new favorite terms, green-wrapping, there are a number of new ideas literally cropping up. 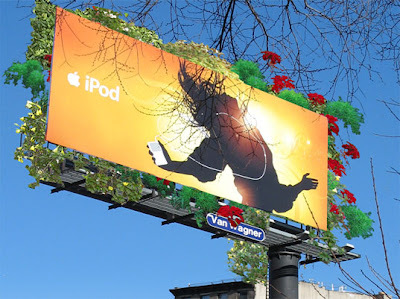 I mentioned previously a new strategy of billboard greening, and there continues to be some great examples of vegetated advertising, as well as some other ideas that begin to literally evoke green. The previously example of McDonald's billboard advertising for Fresh Salads deserves another look. 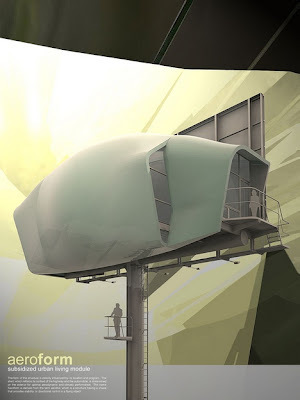 The latest iteration of this phenomenon is from 'Green Spots', the iDA Land and Sea competition (via Inhabitat) winning entry by TODO Design and DAS Studio, although it seems to be getting as much free press for Apple's I-Pod. I really like how the concept isn't just a one-off design idea, but an integrated strategy for urban greening through corridors where billboards predominate. They seem to have some understanding of the logistics, but the ease in which they say these will work is dubious. A fun thought with some great positive opportunities. A few details, via Inhabitat: "Their proposal encourages dialogue with local residents without interfering with the target, drive-by audience, at the same time that it greens the city. These gardens will work to offset the carbon footprint of the passing vehicles. The design team considers the proposal akin to planting an urban tree, except that these gardens will allow for a diversity of planting that can be tailored to local fauna and climate. ... 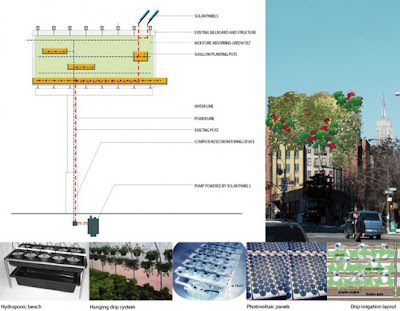 Designed around self-sustaining technologies with photovoltaic panels powering the automated drip irrigation system fed from the base of the billboard towers, the gardens will require limited management once established and can be monitored in clusters from a centralized location via wireless technology." 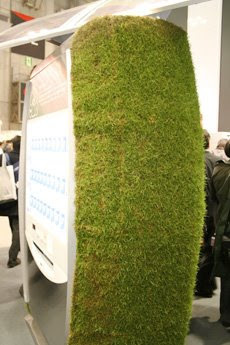 Another example of potential lipstick-on-a-pig green-wrapping from Treehugger is a moss-covered vending machine, in the land of vending machines, Japan. A range of non-vegetated varieties are also cropping up... including solar panels and energy conservation. 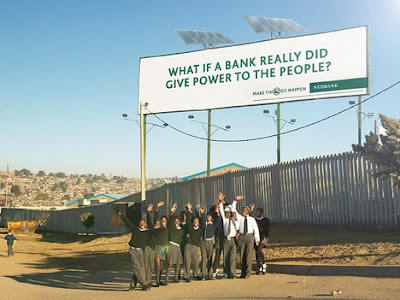 All images via Treehugger. Good pics. 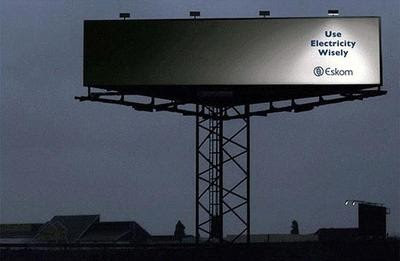 I like the "This isn't a billboard" billboard the best. The coal industry is coming out with one, too. It's a big bin filled with coal. It says the same thing.